I was born and raised in Birmingham, England, but now live just outside Lichfield in Staffordshire. I guess like most of us, I enjoyed drawing and painting as a child and I just carried on doing it. I went to art college and it was there that I found my love of painting. For the last 20 years art has very much been a hobby for me, however the last two years have probably been my most productive, both in terms of output and recognition. What's your medium of choice when you're creating art? I use acrylics for my paintings. I love its versatility and quick drying nature. I generally paint on mdf board that I prime with gesso, but I will also use canvas or paper depending on the situation. My other favourite medium is charcoal. I use a combination of willow charcoal, compressed charcoal and charcoal pencils. Plus of course a wide variety of erasers. How did you build your creative habit? One of the best ways to form your creative habit is to have a workspace that is ready to go whenever you are. There’s nothing worse than wanting to create some art but having to waste time sorting all your equipment out. It doesn’t have to be a big space, just somewhere you can go and create. Social media can really help as well, it’s now so much easier to see art, find artists you admire, discover new art and artists and of course show the world your own creations. When you find yourself in a creative rut, how do you get out of it? If I’m in a creative rut, I generally switch what I’m doing. I might paint landscapes instead of portraits or even do some still lives. If my painting isn’t working then I’ll work on some charcoal drawings instead. One thing I’ve also got better at is realizing when a painting or drawing isn’t going to work. This stops me from wasting time and effort on a picture that I know I won’t be happy with. I’m much happier to just abandon it and start something new. Another great way out of a rut is to open up Instagram or Sktchy and soak up some inspiration. Look at what your favourite artists are doing and get inspired! Which of your recent Sktchy artworks most expresses who you are now as an artist? My portrait of Connor is close to how I want to paint. It is a realistic portrait but works well as a stand-alone painting as well. 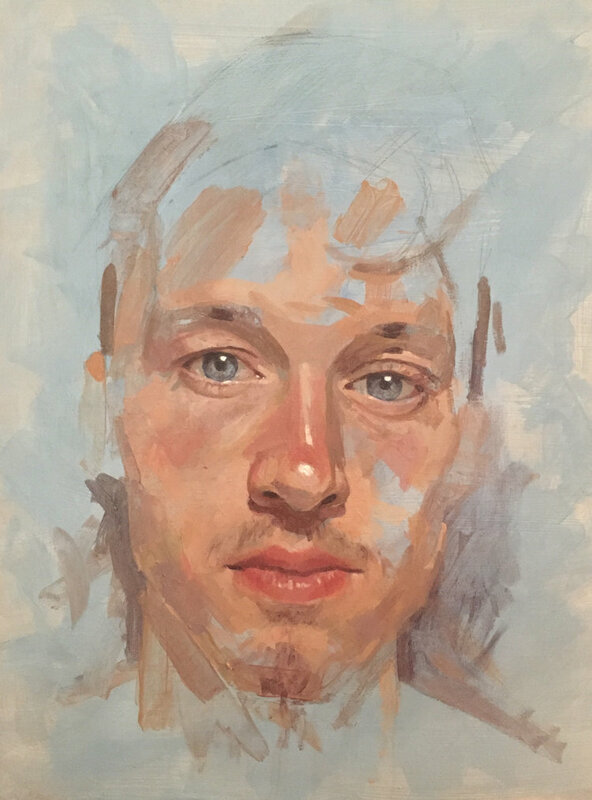 I’m always striving to achieve realism in my portraits but I like them to have a painterly quality as well. This picture comes close to that. 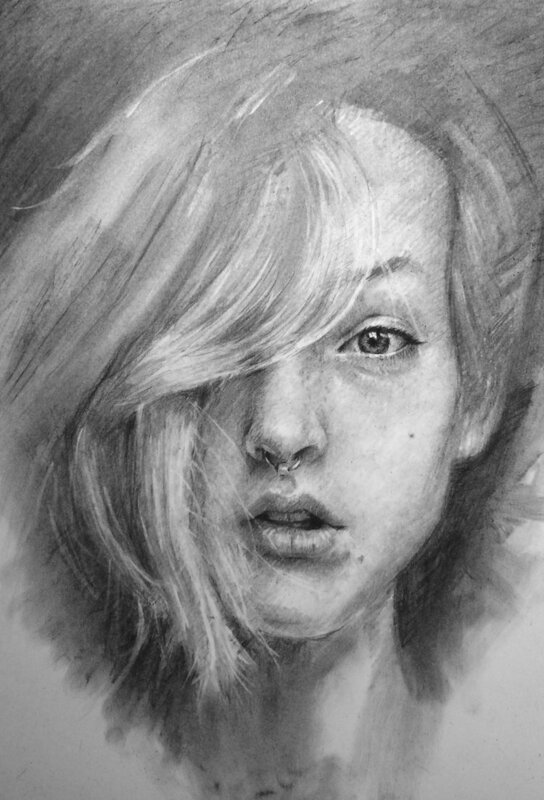 Get the Sktchy iPhone app to join Neil on Sktchy, and subscribe in-app to learn drawing tips from him. Learn more.